"I work very hard to satisfy my customers and I take pleasure in my job." 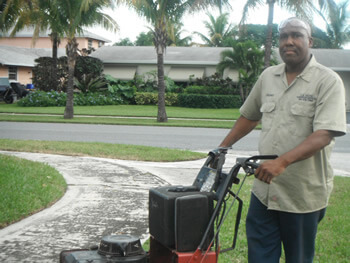 L B Faith Handyman Service LLC is a privately held company in Riviera Beach, FL. Categorized under Handyman Services. Our records show it was established in 2012 and incorporated in Florida. In 2010 L.B. Faith Handyman Service merged with JJ lawn service under one umbrella to become L.B. Faith Handyman Service LLC. With over 22 years of experience in cabinetry, 10 years of experience in lawn service, and over 6 years of experience in all areas of handyman service. L.B. Faith Handyman Service LLC brings to you a wealth of knowledge and experience you can come to rely on. Today we pride ourselves in our motto “Restoring True Beauty”. Serving the local community for almost 8 years.